The railway on the Map Editor is a composite line that is not drawn directly on the map, but which is assembled from railway sections, each of which is drawn and attributed separately (for more information, see section 3.12.2. Rules for attributing railway station items). Use the panel to add attributes to the railway. Techniques for adding attributes to railways are similar to the techniques for adding attributes to all items on YME. 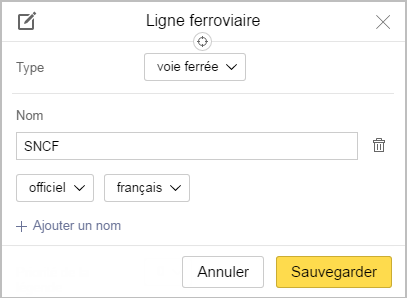 If the railway is not on the map, you must fill in this field manually: enter a name for the railway and it will be created. When naming the Railways should be run PP. 3.12.2.1.1.1 - 3.12.2.1.4 Rules'. 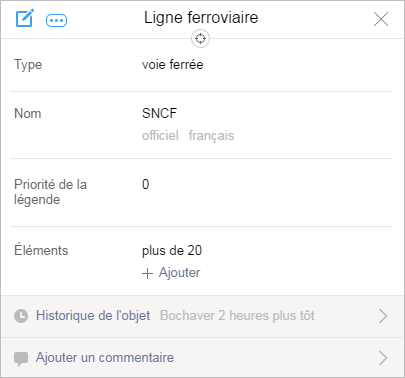 The techniques for naming railways are similar to the techniques for entering names for all items on YME.